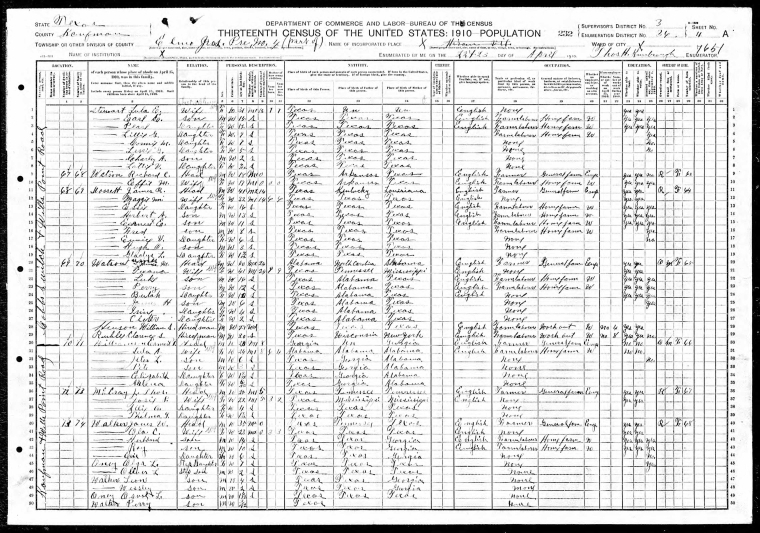 Charles also appears on the 1930 Census with his sister, Lillian G and her husband Thomas Park while they were residing in Van Zandt County, TX. The Van Zandt County census was conducted on 21 April while the census in Hunt County was conducted on 08 April. + 1. Earl Linus STEWART, Sr.
+ 6. Charles Alfred STEWART, Sr.
+ 1. Charlie Alfred STEWART, Jr.
[S156] Family Tree - Scott 2701717.FTW.